"Would you like your picture taken next to Bilbo Baggins' house?" It's not a stress dream. I'm standing in the emerald green fields of Hobbiton, the original film set for Peter Jackson's Lord of the Rings and The Hobbit trilogies. 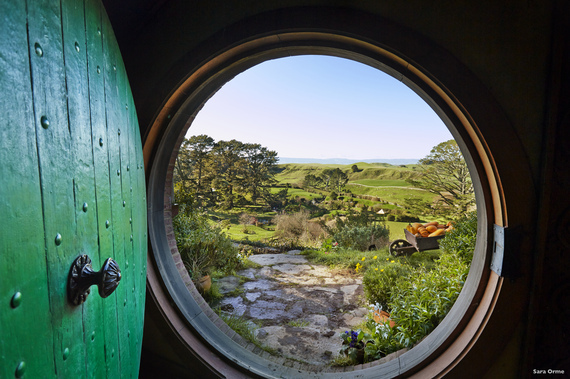 Just outside Matamata, the Kiwi director transformed a 1250 acre sheep and beef farm into The Shire, digging 44 hobbit holes into the undulating hills. 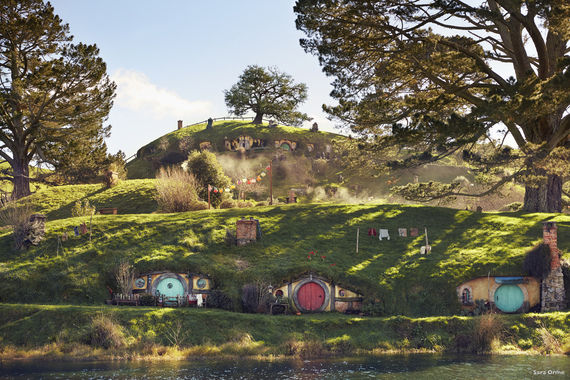 After filming concluded, the set was converted into what's arguably the most popular tourist attraction in New Zealand, drawing over 1.5 million visitors since first opening. Believe it or not, Hobbiton is just the beginning. Jackson used more than 150 locations across New Zealand for filming, many of which you can now visit. 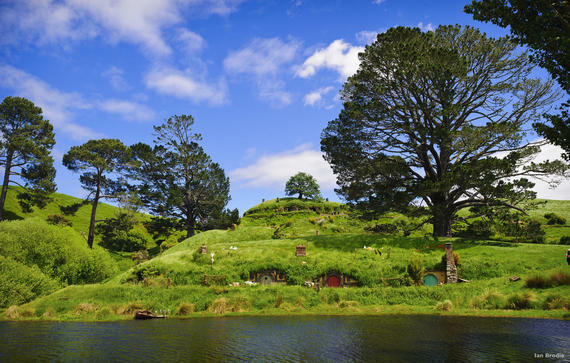 There are even "Middle Earth" itineraries that Tolkien buffs can follow across the North and South Islands, with one spanning 21 days for mega fans. Of course, you can't just freely roam Hobbiton like a villager. The only way to get that prized selfie by Bilbo's home is to take a two-hour guided tour departing from the Alexander farm. Wandering the 12 acres, you hear mesmerizing stories about the set's creation, learn obscure facts about the production, and see real sights that appeared in the films. Even non-fans (like myself) are captivated. "Anyone here for Harry Potter?" jokes our guide. "Wrong country!" 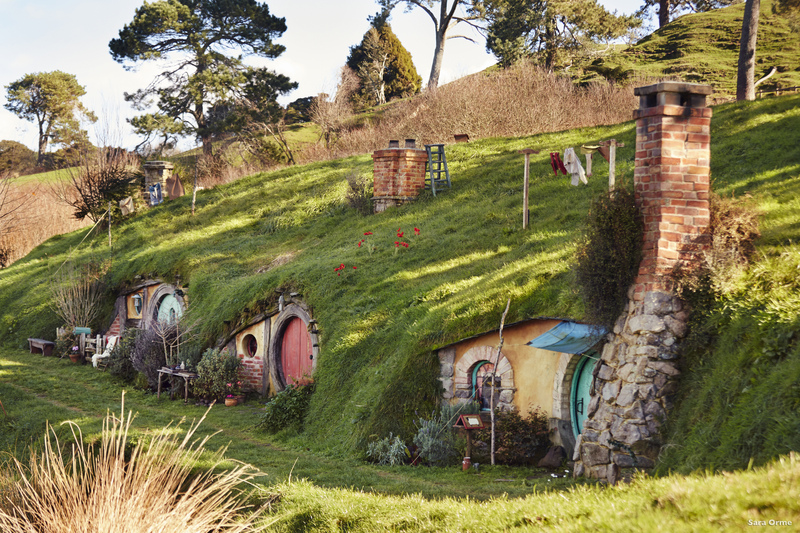 Strolling along the Shire's pathway, it feel surreal to wander a mythical village filled with Munchkin-sized houses. 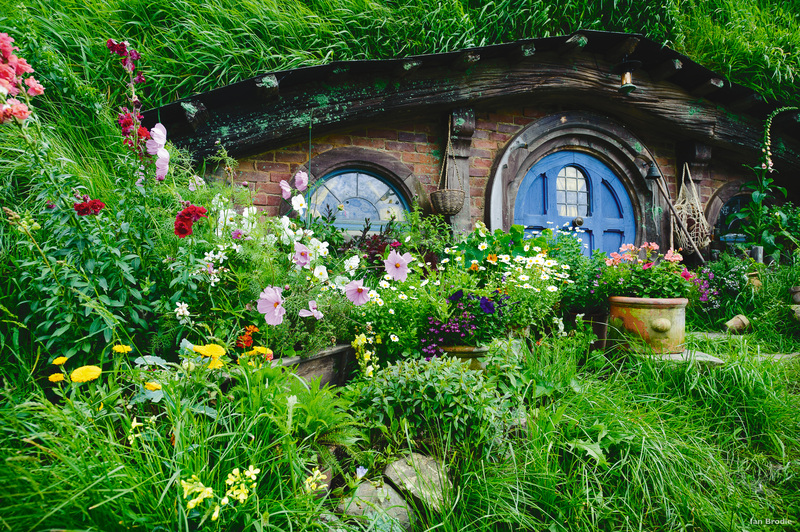 Each has mossy roof and a round door painted with a lively colour, as well as windowsills filled with flowers, foods, and impish ornaments. One tourist tries to open a door. "You can't go in," says the tour guide. "There's actually nothing inside." The hobbit holes were designed for exterior filming, and a separate set was constructed for the interior shots (which now permanently resides at Jackson's home in Wellington). Even if there was something to see, good luck fitting inside: at 3 feet by 6 inches, the houses are sized to fit hobbits. "The houses were dug out just a little inside," says our guide. "They had to keep the roof stable for actors running on top." Nearby is the Party Tree, where Bilbo celebrates his "one hundred and eleventieth birthday." Here, our guide explains that this tree is a crucial reason Jackson chose to film on this property. "The Alexander farm had everything they needed," says our guide. "Even the 'nice rounded tree' described in Tolkien's book." Of course, it took some finagling to get. Back in 1998, Mr. Alexander was watching rugby when he heard a knock at his front door. On the doorstep was a film location scout, asking to inspect his property. Peering through binoculars at the tree and the gently sloping hills, the original plan to film across several locations was quickly tossed out. "Peter Jackson did an aerial tour of the farm," says our guide. "And then he came back to Mr. Alexander with a proposal to build the Hobbiton set on the farm." "Lord of the what?" Mr. Alexander purportedly responded to Jackson's request. 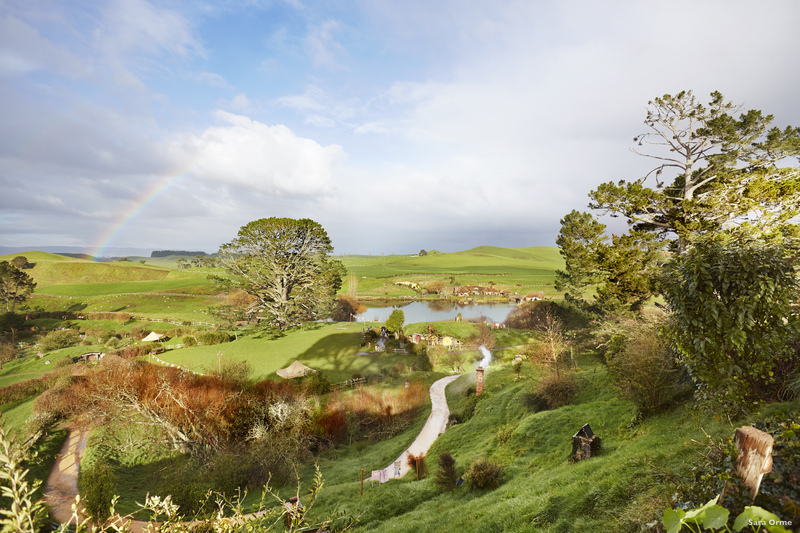 Despite the farm's suitability, it took some serious magic to transform the fields - normally used for sheep grazing - into the Hobbiton from the films. With endless rolling hills and emerald green fields, it functioned as a working farm even during production. In fact, Jackson often had to call Alexander when sheep strayed into shots, asking him to move the flock. Overall, the set took nine months to build, digging hobbit holes into the hills, removing marshland, and creating elaborate props to match Tolkien's tales. "See that oak tree above Bag End?" says our guide. "Is it a real or fake?" I wager a guess, but I'm wrong. Turns out, the tree is a replica, painstakingly bolted together and with artificial leaves wired onto the branches. But it sure looks real. Faux trees aside, Jackson also faced the enormous feat of accommodating 400 people onsite every day on a limited budget. He requested a loan from the New Zealand government to build the roads and infrastructure, but it was rejected. Instead, he got the New Zealand Army. "The Prime Minister loaned him soldiers to help build the road into the site," says our guide. "In return, Jackson cast the soldiers as extras in the Orc army." Apparently, the soldiers were completely immersed in their roles: the director actually had to tell them to settle down because they were injuring the actors during the battle scenes. Around the pond and past the Watermill, our guide leads us to our final stop at the Green Dragon Inn. 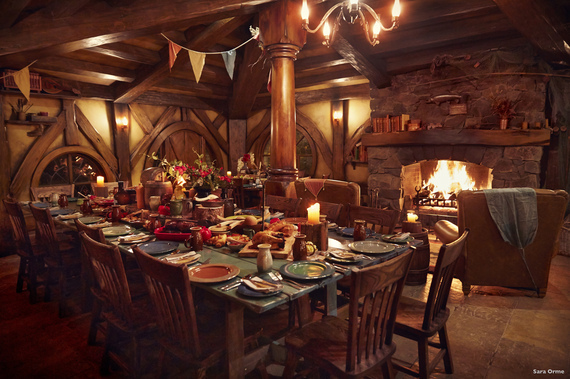 Sitting by crackling fireplace, I marvel at the enchanting décor (the pub is an exact reproduction of the one in the films) and sip my foamy pint of Hobbiton ale. To be honest, I can't think of a better way to end this unexpected journey. Hobbiton Movie Set is a 2.5 hour drive from Auckland, and there are bus operators that offer transfers to/from various Kiwi cities across the North Island. 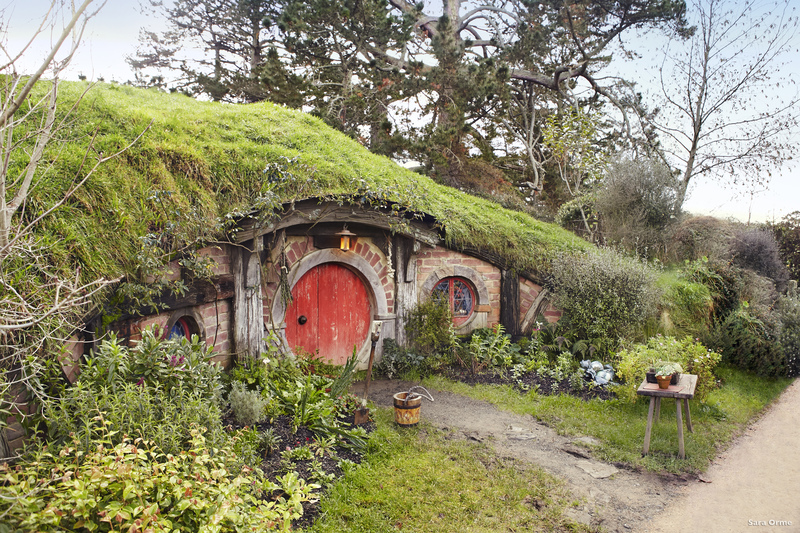 To really holiday like a hobbit, sleep in the Shire under a grassy roof at Woodlyn Park, a hobbit-themed inn near the Waitomo Glowworm Caves(another essential stop on the Middle Earth journey). A member of the Star Alliance, Air New Zealandfeatures non-stop, overnight flights from Vancouver to Auckland, and connects to most major Canadian cities. For more travel inspiration and advice, mosey on over to Eat Drink Travel Magazine. 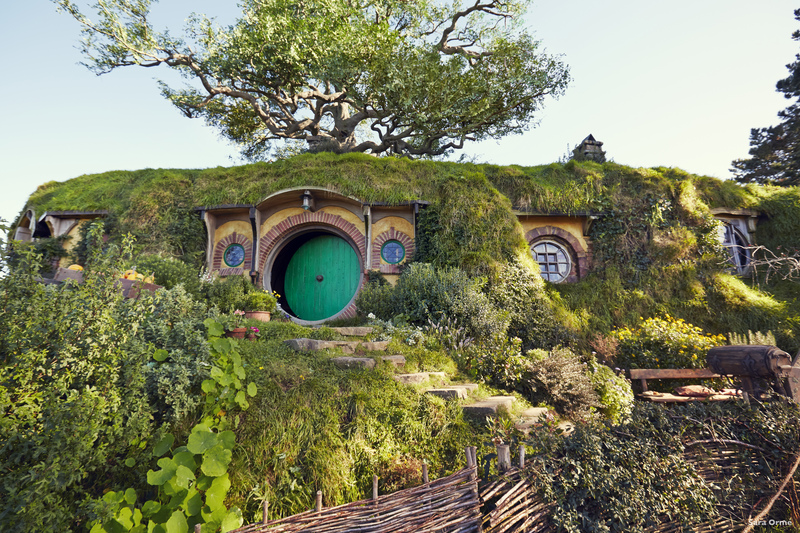 Get more ideas for planning your Middle Earth Adventure at Tourism New Zealand.